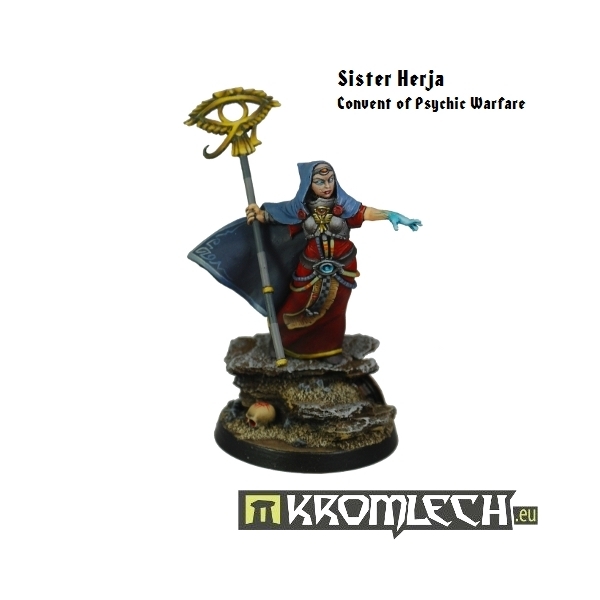 This set contains one human psionic from the Convent of Psychic Warfare in 32mm scale. 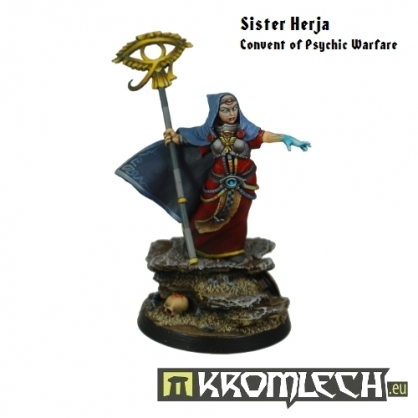 She can be assembled carrying arcane staff, laser pistol or with both hands empty (or any combination of these). 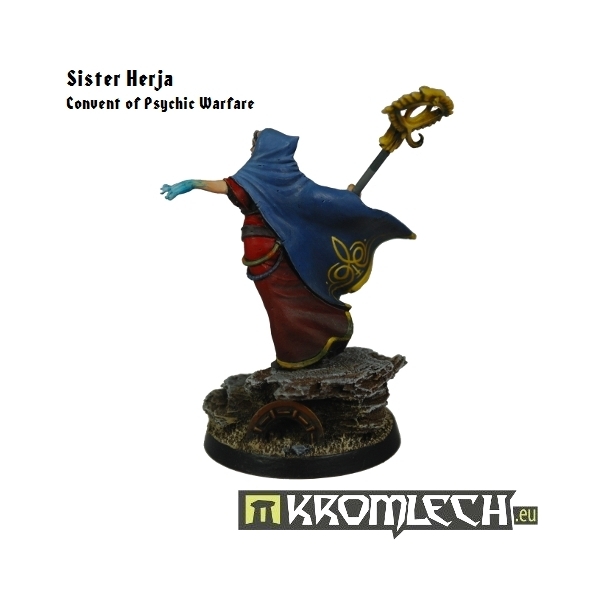 Model consist of 5 resin parts (body, right hand with staff, empty right hand, left hand with laser pistol and left hand making arcane gesture). 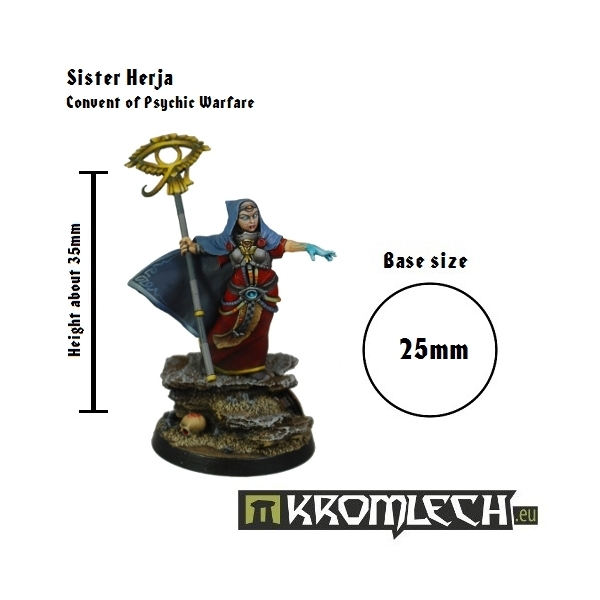 Plastic 25mm plain base included. Sculpted by Lucas Pina Penichet. Painted by Artur.